It is the winter of 1154 and Eleanor, Queen of England, is biding her time. While her husband King Henry II battles for land across the channel, Eleanor fulfils her duty as acting ruler and bearer of royal children. But she wants to be more than this - if only Henry would let her. Elizabeth Chadwick is a favorite of mine and this series is about one of my favorite historical figures - Alienor of Aquitaine. 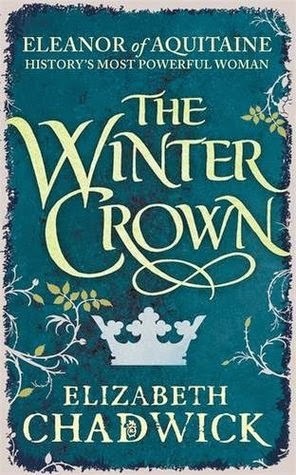 The Winter Crown is the 2nd book in this trilogy, which began with The Summer Queen. Beginning in 1154 and ending in 1174 this was a book that I found very engaging, one not to rush through but to savor the journey. During the 20 years much takes place, the murder of Thomas Beckett, the children growing up with thoughts of rebellion against a controlling and demanding father, Henry's new mistress and so much more. I found the relationship between Alienor and Henry II rather thought provoking. Henry with his own agenda and Alienor with her ambitions. Henry closing his heart to emotion and compassion while Alienor the opposite. "She just wanted to hold her new baby son because not only was he a hope for the future, but a blessing to heal the past." "The birth of another male child meant he could thicken the skin over the scar caused by Will's death and pretend it never happened." "He would find it difficult to mourn. She had never seen him grieve properly over anything. It was as though all such feeling was disposed of in a deep, internal well and the more emotion that poured in, the deeper down he dug and one day the top would cave in on him and he would drown alone in darkness." 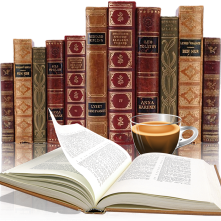 Alienor is strong and smart, this book ends at the beginning of her captivity by Henry. Is she defeated? Has Henry won? "The darkest prisons were those of the mind. She could either fall into a well of black despair, or hold on to the light and keep hope alive. If she could find freedom within herself, then Henry would be unable to touch her: and even in losing everything, she would still have won." Can you tell that I am a collector of quotes? This book was full of them. I loved this book and anxiously await The Autumn Throne.